I enjoy witnessing brother Jonathan Kleck find hidden meaning buried layers deep. He has the God given ability to see abstract art in ordinary art. Sometimes I don’t quite see what he sees – but that is ok. His videos glorify the KJV Bible. His ministry is revealing how to get saved. This is the point of it all in my opinion. Those are the introductory lyrics. Please note this music video is filmed in a pit. Billy Corgan is immediately telling the listener that the world is ran by cannibals in these lyrics. Is it a stretch to consider bullets with butterfly wings to be a metaphor for locusts that will come out of the pit to sting men in Revelation 9? 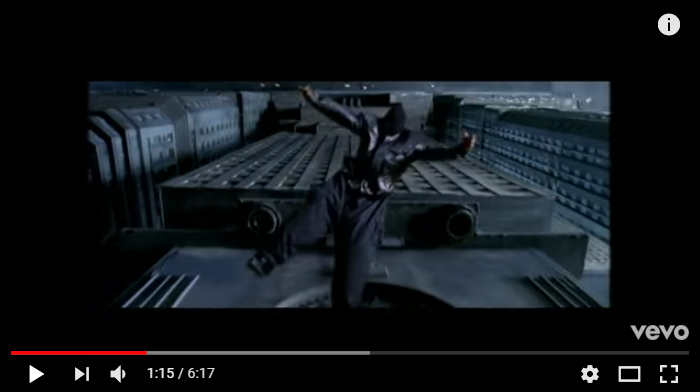 Considering this music video is being filmed in a pit I think it is not a stretch of the imagination. 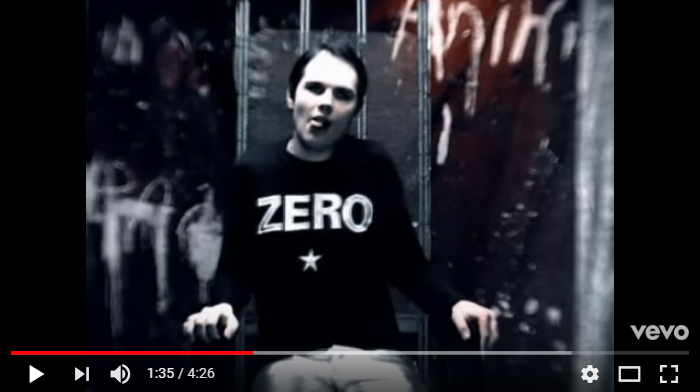 Billy Corgan knows something. Perhaps more accurately a spirit influencing him knows something. He literally says “even though I know”. “Like old Job” is a literal reference to Job in the Bible. No doubt about it. Substitute “demon” for rat and “body” for cage anyone? Against whom do you sport your tongue? If you are familiar with Jonathan’s ministry then you know the significance of all of these things I just served up to you on a platter. I haven’t even scratched the surface. Analyze the lyrics in their song Cherub Rock. Who wants honey? Then consider this Jonathan Kleck video produced earlier this year. 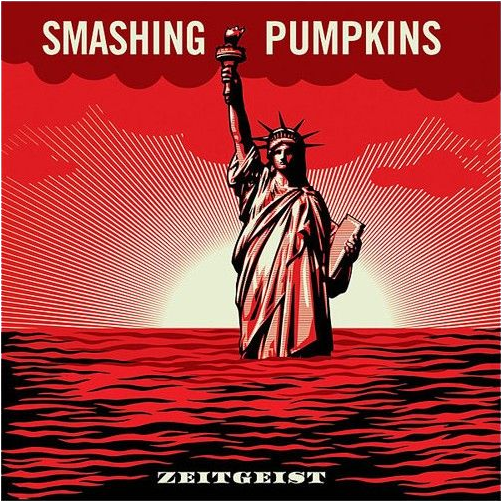 “Zeitgeist” – The defining spirit or mood of a particular period of history as shown by the ideas and beliefs of the time. That is the definition of Zeitgeist when I googled it. Jonathan put this exact same image on the wall of his artistic shipping container tribute to the Lord. We have just received a report that New York City is under attack by a swarm of killer bees. Do you think it crazy to consider killer bees and the locusts from Revelation 9 prophecy? Probably not a stretch. There are swarms of killer bees everywhere in this video. People are running from them terrified in many scenes. It very much reminds me of Revelation 9 again. Interesting lyrics. Jonathan talks about the bad seed from bad sperm in the Garden of Eden all the time. Here is one example. He is well aware of the bad seed from bad sperm. Are you? “Olympic torch flaming, we burn so sweet”. I find that to be highly ironic because the Olympic flame is called the cauldron. What do you think of when someone says the word “cauldron”? I know I think of witchraft. Just a personal observation on the Olympic torch. The lyrics say judgement day. Then a nuke literally explodes in the video at 3:10. There is zero room for misinterpretation concerning that imagery. 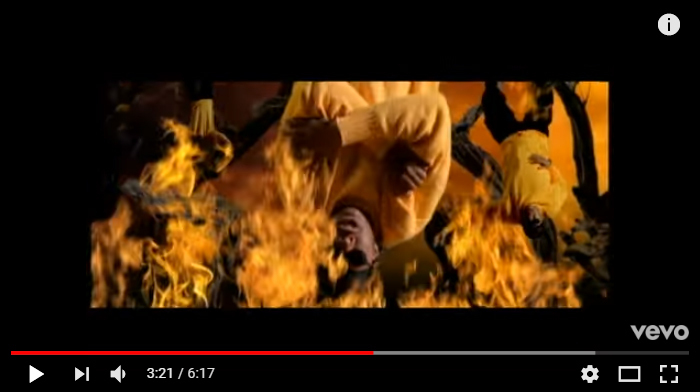 At 3:21 why are there Wu-Tang Clan members hanging upside down in burning flames? 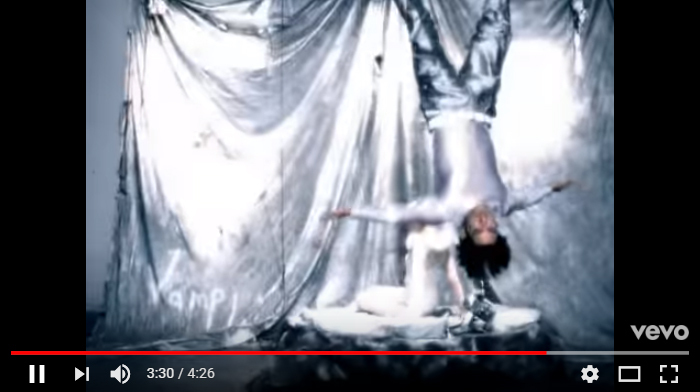 Why is this man wearing black wings around 3:49? Revelation 9 again. Apollyon anyone? Ninety three million miles is the average distance of the earth to the sun. Someone came from the sun? You mean Ra the Egyptian sun god? Sun worship? Maybe. 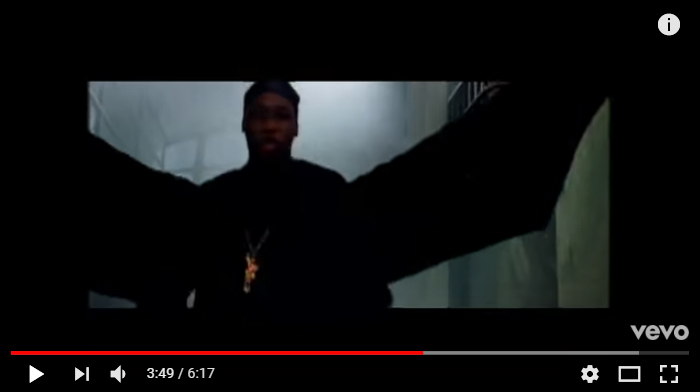 I don’t think its a coincidence considering ODB told us call him “Osiris” at the start of this music video. If you do some digging you will find that most of the members of the Wu-Tang Clan are Muslims. 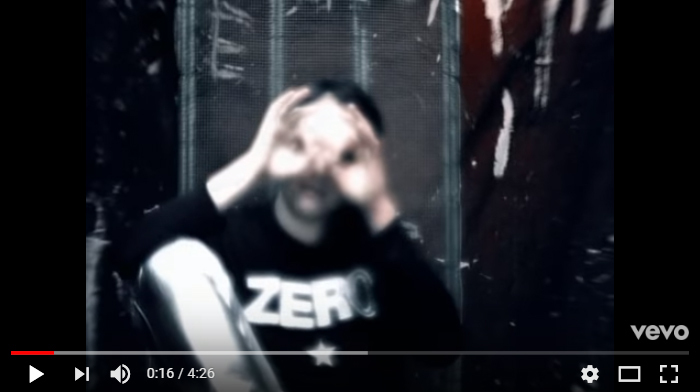 At least some members are 5 Percenters (including RZA the producer of this music video). This is per their own words not mine. Also known as the Five-Percent Nation. Also known as the Nation of Gods and Earths. Jonathan knows about the 5 percenters. I have been walking the earth for quite some time. Jonathan is the first to teach me about this religion. And that was within the last year. I never even knew such a thing existed. I can’t find his video on this topic right now. When I do I will link to it. So I have a question for you. 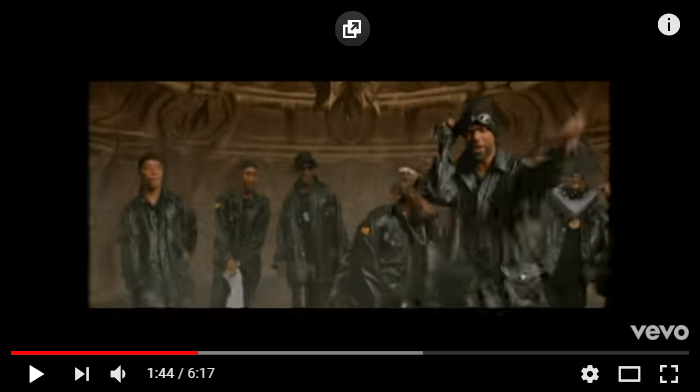 Why did these self-proclaimed Muslims and Five Percenters produce arguably their most successful music video overflowing with Biblical imagery from Revelation 9 of the KJV? I for one am amazed with these findings from 1997. This is all strikingly similar to the things Jonathan Kleck warns us about on his YouTube videos in our life and times. ← How To Beat Sin?